The topic of this essay may just be an idiosyncratic issue for me. Nonetheless, to the best of my recollection, this strange occurrence has only happened twice in my life. We have all given gifts to people, because we care for them and wish to express appreciation for something in a tangible way. We do it on birthdays, weddings, holidays, birth of babies, etc. However, on two separate and unrelated incidences, I gave two different people gifts. However, in the final analysis, I doubted whether either would ever see the gift. The question is why did I give a gift? What would you do if you were in my shoes? 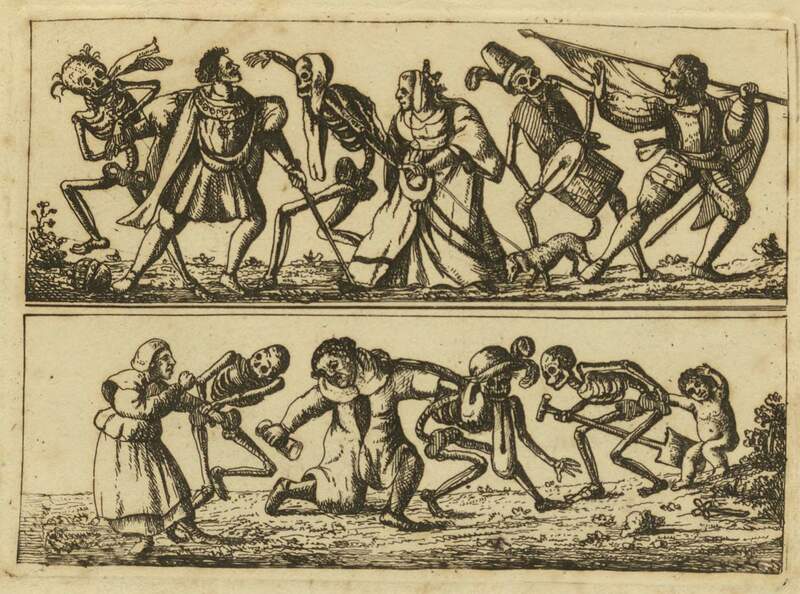 Exactly a decade ago, I danced with death twice…successfully. While I’m glad that I dealt with a traumatic brain injury and a metastatic prostate cancer, I didn’t recognize the advantages that can be acquired by doing either dance. I missed that recognition for several years until having dinner in Chicago with Mike Schmitt. I had never met Mike before this. I wanted to discuss teaching jobs in the area. We introduced ourselves, and he did precisely what I would have done if I were talking to someone who wanted a teaching job. He said, “Well, tell me about yourself.” And I did…for the entire dinner. 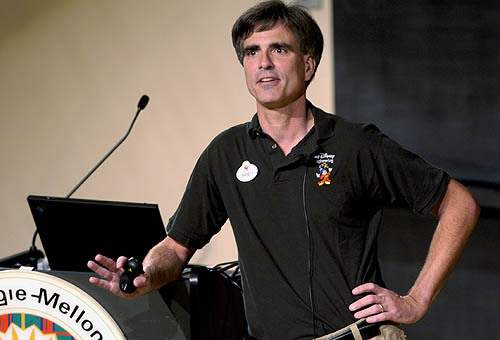 While ordering dessert, Mike asked whether I had ever seen Randy Pausch’s Last Lecture. I told him that I hadn’t and went on talking about what drives me. Politely, he said that he would email a link to the video. The next morning, I watched Pausch’s Last Lecture, which was exactly 1:16:27 long. Talk about seeing the light…a brilliant light. I could identify the radical changes in me and why they occurred. Once I understood the transformation within me, I was able to grasp the new me. While it had been present since doing the dances, I hadn’t identified that reality; now, I did. That resulted in creating an index page for the Last Lecture. 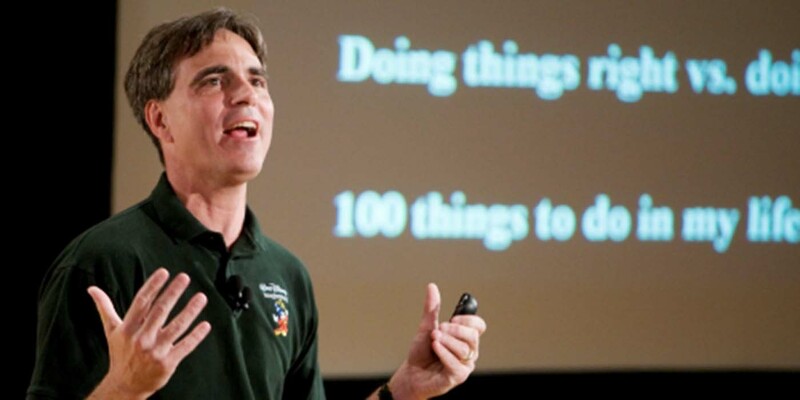 That index page has nearly two hundred articles addressing the transformation of someone who has done the dance starting with Randy Pausch. Nearly two years ago, I contacted Carnegie Mellon University. I wanted to talk to a colleague of his. I told this person about how much Pausch’s Last Lecture meant to me. In the midst of the conversation, I told his colleague that I wanted to write to his wife. In addition, I wanted to send a small gift as a way of thanking her husband for helping me grasp my dances with death. The colleague said that Pausch’s wife was in the process of healing and didn’t think that she was ready for dealing with an email, etc. at that time. I said that I understood the situation as my mind processed not being able to thank Pausch’s wife. A month later, an idea came to me. I wrote a note to the colleague and included the gift for his wife. If his wife still wasn’t ready to receive the gift; it was to be a gift to the colleague. I actually felt free even though I hadn’t achieved the initial request about an email and his wife’s address in order to send the gift. It was like some moral burden had been taken off my shoulders. I was free. 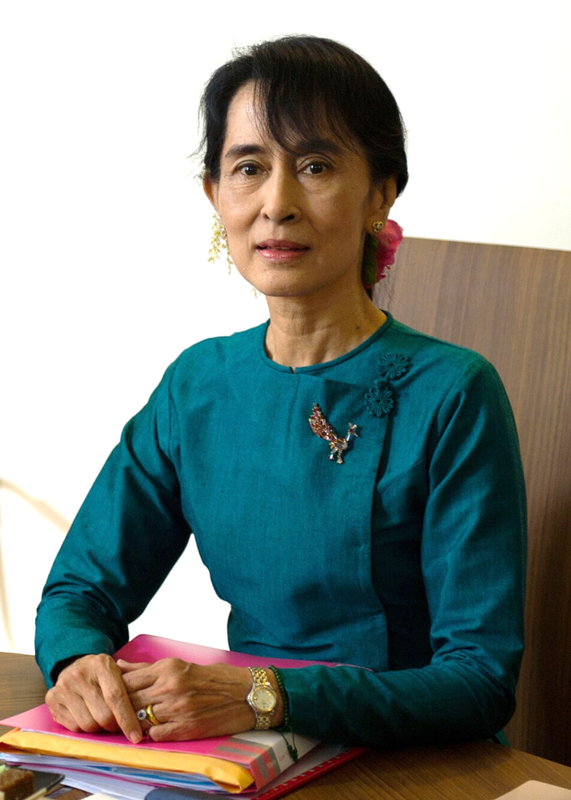 The other recipient that was to receive two gifts from me is Daw Aung San Suu Kyi, often called the Lady. I have written countless essays about wanting to interview her. In fact, in the past four years, I have visited Myanmar/Burma twice in the hopes of contacting someone who could assist me in my request. Over the past half dozen years, I have written letters and emails to various people to achieve my goal of sitting down with this Nobel Laureate but to no avail. 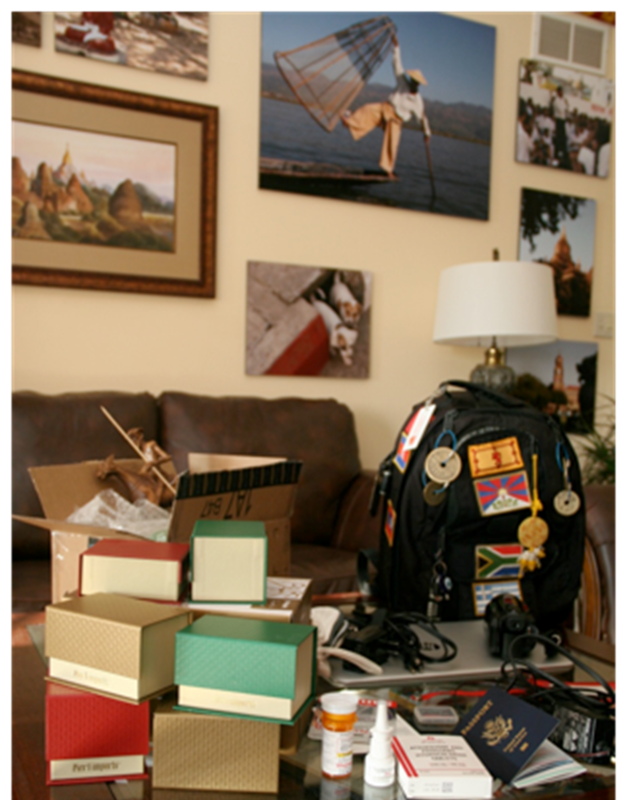 This photo is of two of the gifts to the Lady along with some gifts to my family who lives near Inle Lake. 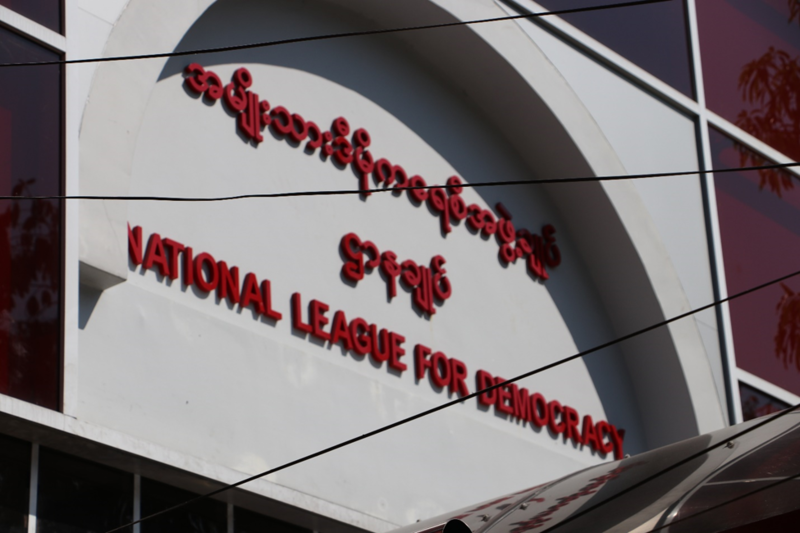 On my most recent trip to Myanmar, my tour guide and I went to the National League for Democracy in Yangon. 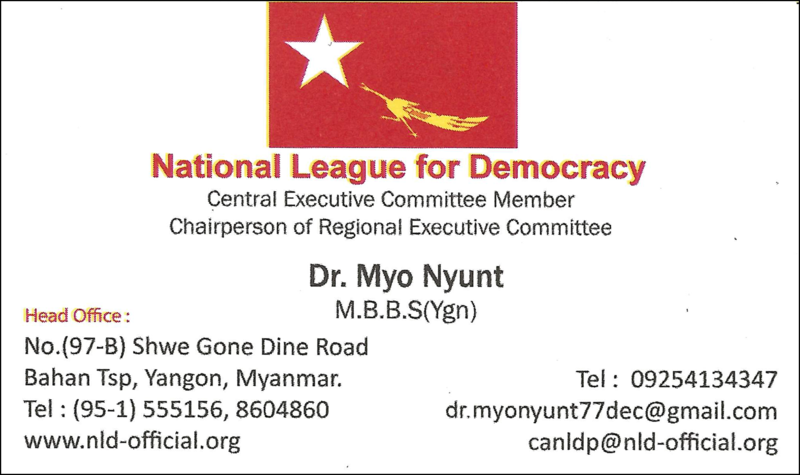 I wanted to talk with Dr. Myo Nyunt, Chairperson of Regional Executive Committee. I told him about all my failed attempts to contact Aung San Suu Kyi. If he would look over my request to the Lady on my website, I would greatly appreciate it. Further, if he thinks that she will be willing to discuss a possible interview, I would like to talk to her about it. As for the gifts given to the Lady, even though I failed, I felt the freedom that I had with my wish to give Randy Pausch’s wife a gift. 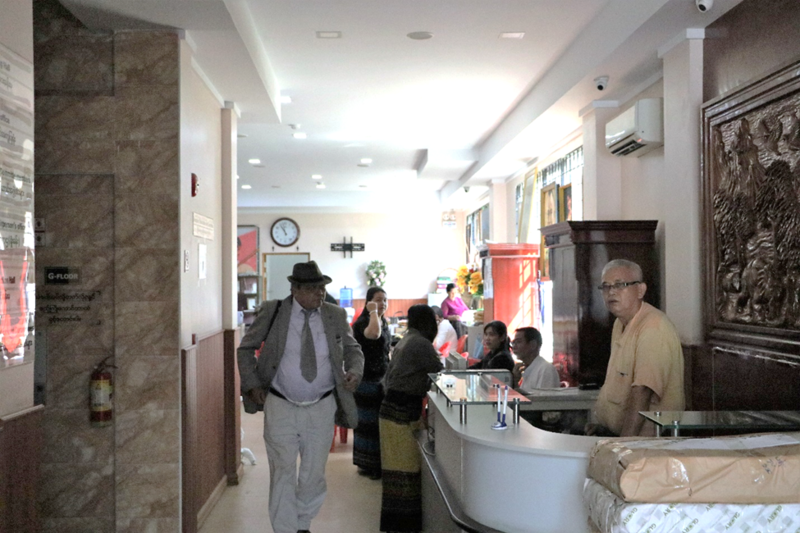 Even though I wasn’t successful, in some office somewhere in Myanmar a statue of Don Quixote and an ornament of a peacock sits. 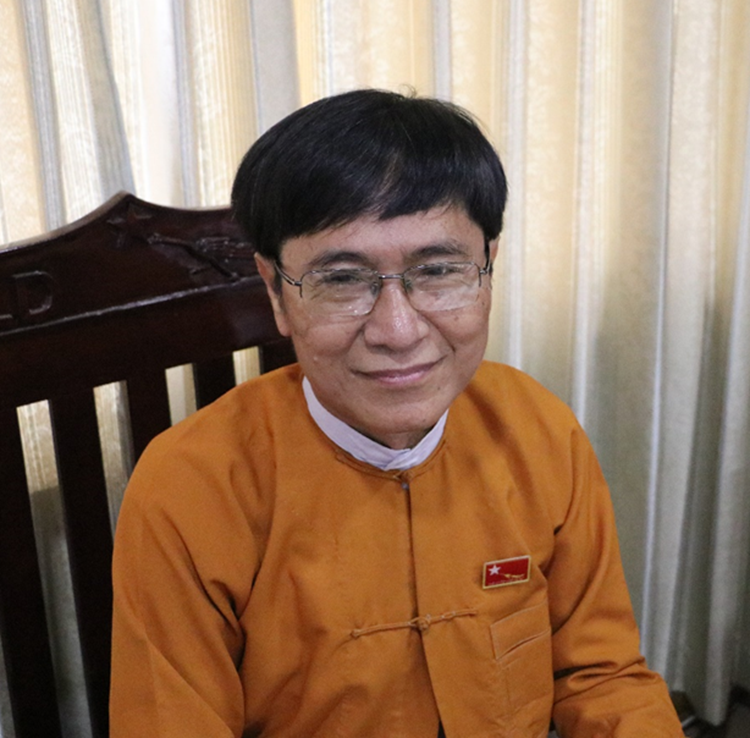 Perhaps that person knows that some old college professor from America is keenly interested in that person’s country and wanted to thank Aung San Suu Kyi with two gifts. Hopefully, that person will match my drive when he or she works at improving Myanmar as has the Lady.